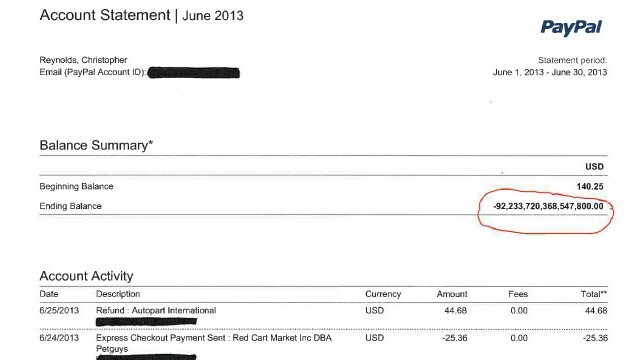 When Chris Reynolds opened his June PayPal e-mail statement, something was off. The Pennsylvania PR executive's account balance had swelled to a whopping $92,233,720,368,547,800. That's $92 QUADRILLION (and change). Money that would make Reynolds -- who also sells auto parts on eBay in his spare time -- the richest man in the world by a long shot.